This weekend, different kinds of wild things will be taking over the multiplexes: a sadistic killer, a fearless aviator, an animated space boy, a thirsty vampire and Satan himself, among others. It’s hard to believe (or is it?) 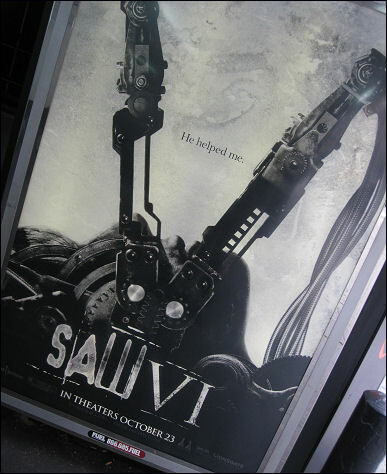 that there have already been five Saw movies, all raking in huge profits. Audiences can’t get enough of the ultra-violent and twisted games that the reluctant victims are forced to play in each installment. The team behind behind Saw 6 is director Kevin Greutert and screenwriters Marcus Dunstan & Patrick Melton, the same group responsible for the last two sequels. Of the Saw movies, Melton comments, “It is hard not to jump the shark, as most franchises do, especially six films in. If you look at a lot of the iconic horror movie franchises, they certainly went off the rails, to a certain extent, and/or gone in a different direction from where the original started. Saw hasn’t, probably because it is made independently, and it’s made by the same people, every year, and everyone keeps it within that same world, without getting ridiculous. If something is too far-fetched, there’s always someone there to be like, ‘No, that doesn’t feel right. '” I guess no one was around to say that when the writers came up with the cylinder trap full of decomposing pig bodies. 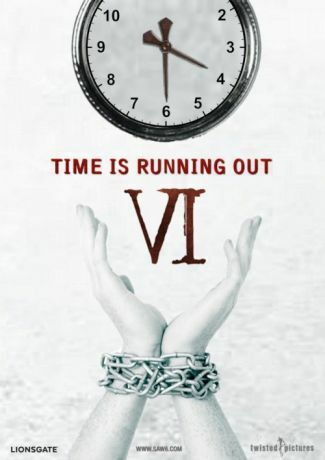 Saw 6 has not been screened for critics–not that it matters at this point. People know what they’re getting into when they purchase the ticket. 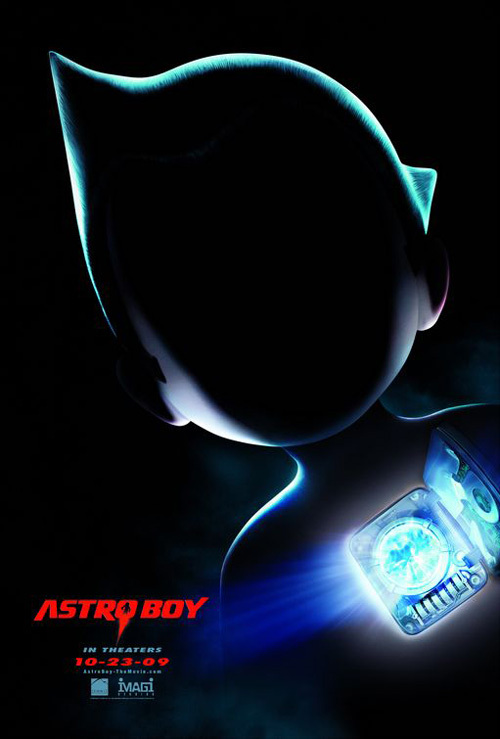 Astro Boy, Osamu Tazuka‘s fantasy about the adventures of a child robot, first began in Japan as a Manga comic in 1952 and subsequently became a TV show in 1963. Its latest incarnation is as an American 3D anime, developed by David Bowers and Timothy Harris. The voiceover talent includes Freddie Highmore, Kristen Bell, Sam Jackson and Nicholas Cage. 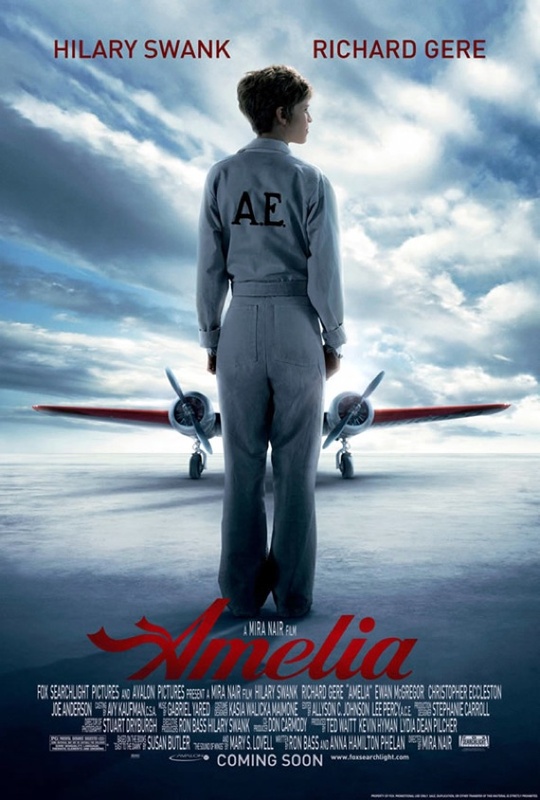 The biopic of the weekend is Amelia, about the life and times of the iconic pilot, Amelia Earhart. The movie is directed by Mira Nair (Monsoon Wedding), written by Ronald Bass & Anna Hamilton Phelan, and stars Hilary Swank and Richard Gere. That may be true, but they’re going to be sorely disappointed. The critics have been ravaging it. It’s pretty fair to say that this biopic has crashed on takeoff. Come Oscar season, the only awards this crew has a chance of winning are the Razzies. 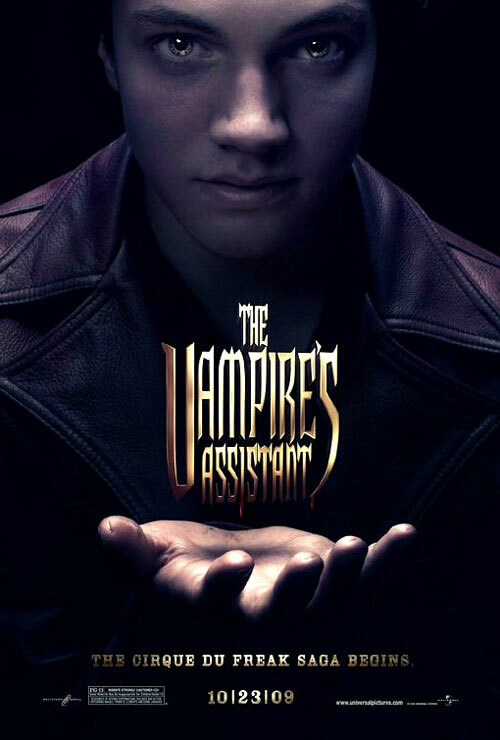 Cashing in on the current vampire craze (Twilight, True Blood, The Vampire Diaries) is director/screenwriter Paul Weitz who’s at the helm of the latest blood-sucking epic, Cirque du Freak: The Vampire’s Assistant. Coincidentally, his brother, Chris Weitz, is the director of the upcoming Twilight sequel, New Moon. They must have gotten more competitive since they’re collaborative years of making movies like American Pie and About a Boy. Weitz adapted The Vampire’s Assistant, along with Brian Helgeland, from the series of novels by Darren Shan. It stars Chris Massoglia, John C. Reilly, Ken Watanabe and Salma Hayek. Genre fans will most likely eat it up but, according to critics, the movie has more than its share of problems. My prediction is that teenage boys will be skipping this safe, PG-13-rated pic for the savagely bloody Saw 6. Unlike teenage girls, who flocked to Twilight last November, boys like their movies R-rated with a vengeance. Her reluctance to leave the big apple explains why most of her movies of so terrible. She chose to star in My Super Ex-Girlfriend, Prime, The Accidental Husband and The Producers, not because the scripts were good, but because the sets were close by. Her latest generic comedy, shot in New York’s West Village, is Motherhood, written and directed by Katherine Dieckmann. At least Thurman has another Kill Bill volume to look forward to some day. The real shock about Lars von Trier‘s Antichrist is that it may be his most explicit and controversial film yet. That’s no small feat, considering he wrote and directed Dogville, Dancer in the Dark and Breaking the Waves. Antichrist is a psychological thriller starring Charlotte Gainsbourg (who won Best Actress at Cannes for her role) and Willem Dafoe as a grieving couple who encounter Satan at their secluded home in the forest. His audience may need therapy as well. Critics may be divided on how good the film is, but they’re not disagreeing over its disturbing nature. 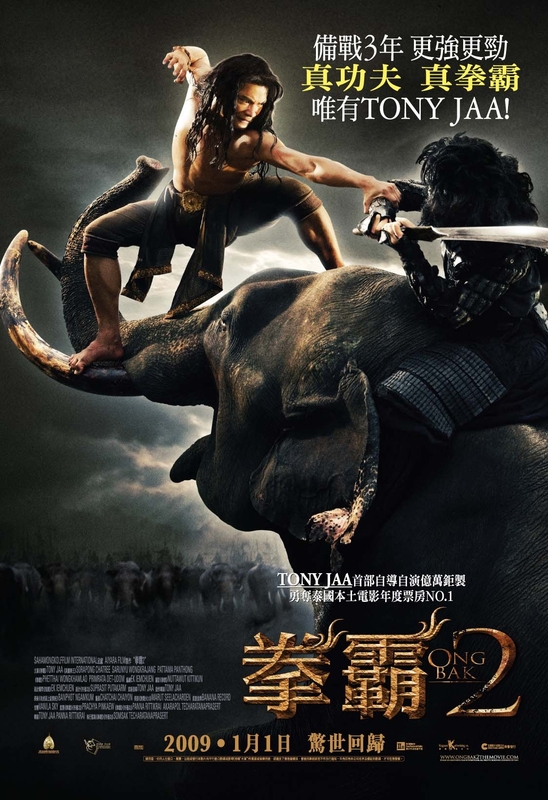 Six years after the original Thai export hit theaters, here arrives Ong Bak 2, directed and starring Tony Jaa. The plot, if it matters at all to you, centers on a nobleman who’s on a quest for revenge. While the sequel is filled with more stunts, more violence and more effects than its predecessor, critics are saying that there is little else to be loved. Maybe Jaa can speed things up for Ong Bak 3. On second thought, maybe he should start treading other territory. There are also plenty of other movies opening in extremely limited release this weekend, which translates to: good luck finding them. That’s more than you can say for Meet the Spartans!